The Orange Crush 12 guitar combo amplifier raises the bar for practice amps, giving you gut-punching tones with highly-responsive overdrive and levels of detailed saturation that will absolutely blow your mind. Capturing the dirty channel of the Rockerverb in solid state form, the Crush 12 provides you with enormous, wide-ranging tones that will take you back to the heady days of no-nonsense, old school analog guitar amplifiers. 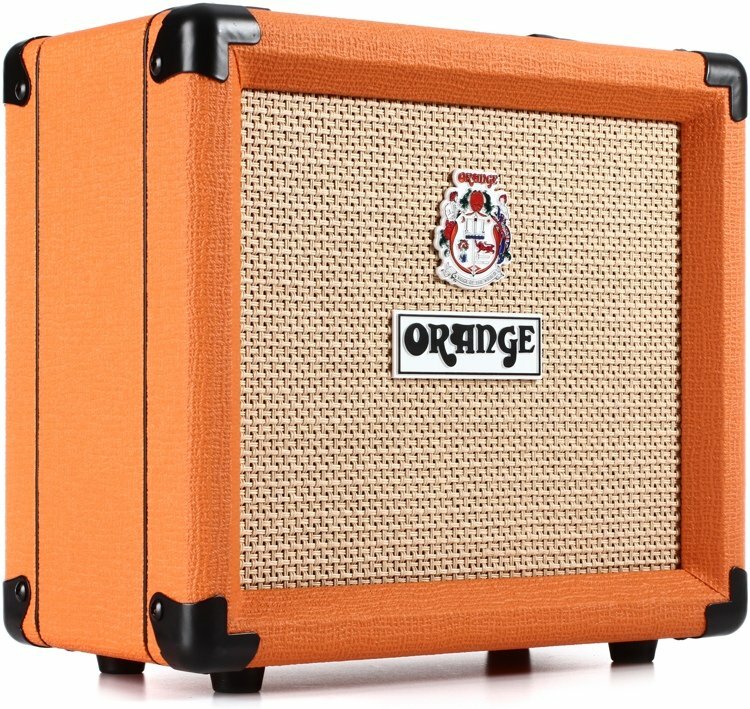 On top of that, you get Orange's innovative CabSim circuit that faithfully emulates the muscle of an Orange 4 x 12" cabinet through the Crush 12's headphone/line output.